Act Now. 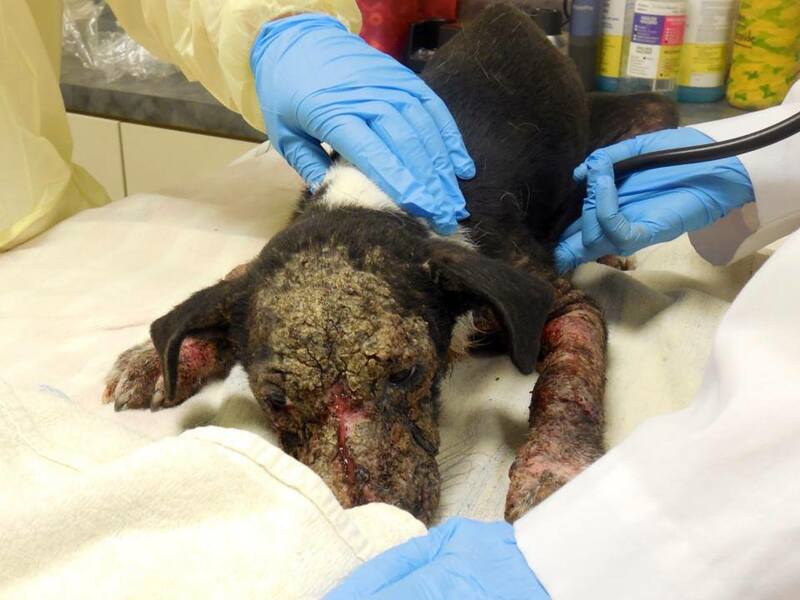 Rescue: Adele’s Story. Adele and Animal Allies of Texas. DONATE TODAY. 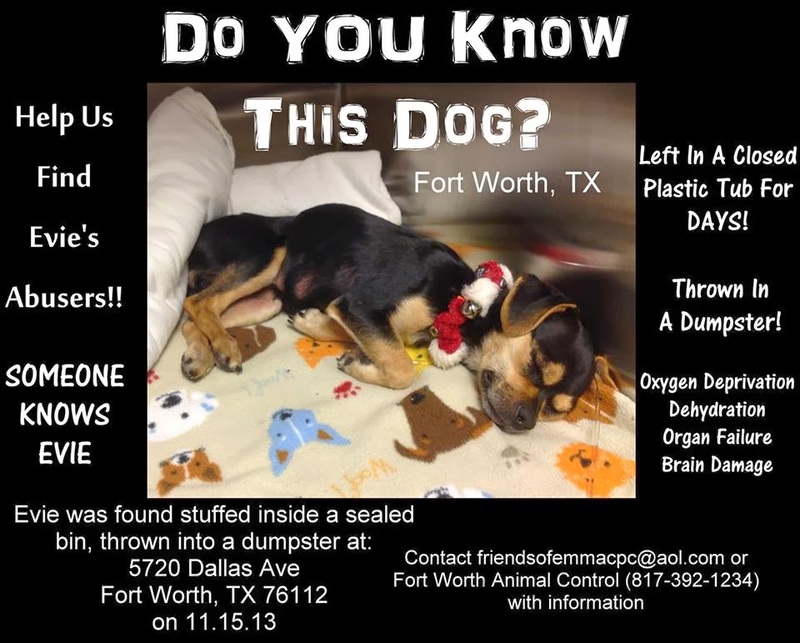 On September 2, 2013 – two days ago -Adele was rescued by Animal Allies of Texas from a concrete kennel in a yard. 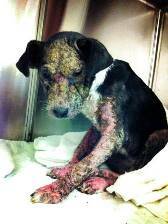 She is an eight month old Border Collie mix with a terrible case of demodex mange. She has bloody skin infections, cracked and oozing. She was left outside in the Texas heat. On Sunday temperatures reached 104 degrees. AAT immediately brought her to a vet. Watching the video AAT posted on Facebook you can see the fear and pain and despair in Adele. Today the vet tech and AAT posted that this little girl wagged her tail. Remarkable. In a sad and ironic twist, Animal Allies of Texas 501(c)(3) animal advocacy/rescue organization had just suspended intake of animals due to overwhelming financial needs. And the person that rescued Adele is the treasurer. Why if they are banned by a board of directors would Adele be rescued? 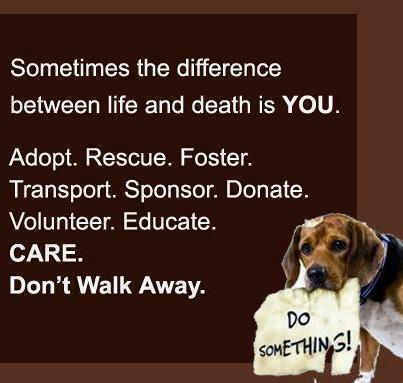 Because no one with a soul can walk away from an animal in need or from Adele. I urge you to help. Help immediately. What can you do? Animal Allies of Texas needs fosters and Adele needs a foster. AAT is in the DFW area of Texas. Open your home and heart. 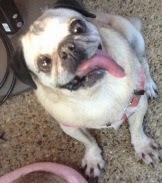 Adele will need love and tender care and medicated bathing along with return trips to the vet. Donate. Donate. Donate Today. Go online and donate. Put $5 five dollars in an envelope and mail the donation. Share because Adele deserves to be cared for by a Guardian. Share because Adele deserves a life of love. Share because humans should be humane. Follow Adele’s story on Facebook. Donate to Animal Allies of Texas through the line below. Named Adele in memory of Adele Fogarty, AAT supporter. 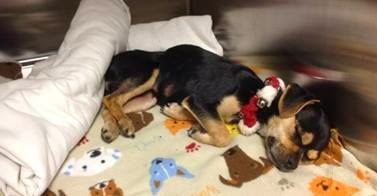 Hospitalized at Metro Paws Animal Hospital in Oak Cliff, TX. Do you need another reason to help? I’m not talking about charitable deductions.